China has a long, rich history spanning centuries. As Chinese culture has evolved over the centuries, so have the country's many customs and traditions. Today, there's a Chinese custom for just about every important event in a person's life – from cradle to the grave. In recent times, there has been a resurgence in interest and adoption of traditional customs. More and more people want to know how they can combine the old with the new. Some Chinese customs and rites were created for purely practical reasons. Others are rooted in early religious beliefs and superstitious thinking. Many deftly incorporate elements of Chinese metaphysics. Although many China's customs have survived to the present day, some have been all but forgotten: rendered obsolete by modern day technology. 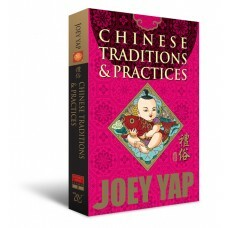 This book explores the history of Chinese traditions and cultural practices, their purpose, and the differences between the traditions of the past and their modern incarnations. If you are a westerner or less informed about Chinese culture, you may find this book particularly useful, especially when it comes to doing business with the Chinese – whether it be in China itself or some other country with a considerable Chinese population. If anything, it will allow you to have a better casual understanding of the culture and traditions of your Chinese friends or acquaintances. An understanding of Chinese traditions leads to a more informed, richer appreciation of Chinese culture and China itself. Learn about the elements that make up Chinese customs and what they represent. Explore the history and development of Chinese traditions over the centuries: find out where traditions came from and see how they've changed over time. Discover the Chinese ceremonies that celebrate the important milestones in life including birthdays, weddings and more! 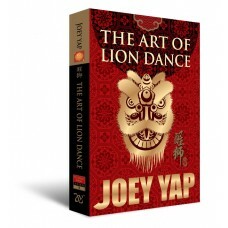 Follow detailed step by step guides on how to conduct various ceremonies, just as others have for thousands of years. Learn the intricacies of conducting business with the Chinese population of countries like China, Hong Kong and Taiwan. Discover the roots and gain a deeper appreciation of Chinese culture, whether you are Chinese or western educated.